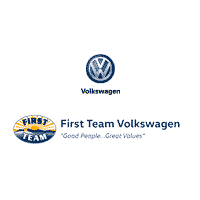 Everyone at First Team wishes to congratulate Kendrick Higgins from Grayson County High School! 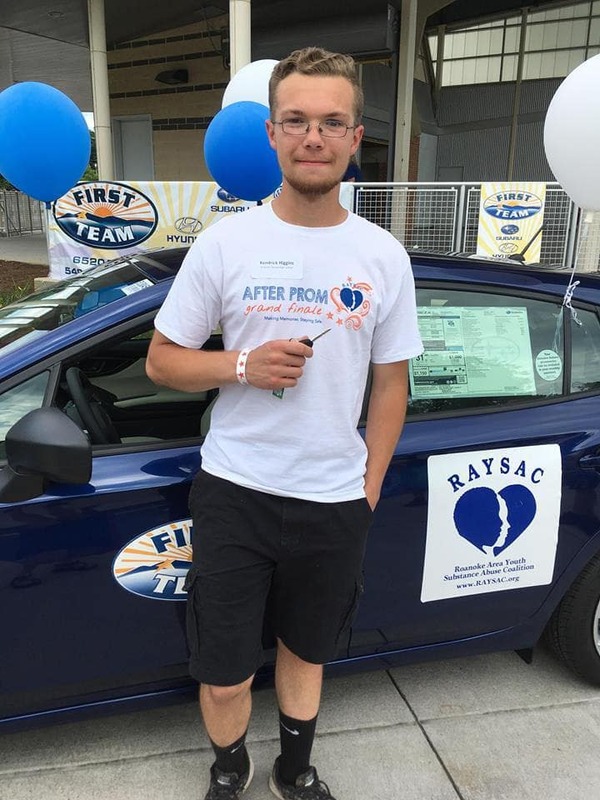 He won a brand new Subaru from RAYSAC and First Team Auto Mall for attending his school’s after prom party, and staying drug- and alcohol-free. As a RAYSAC After Prom sponsor for almost 30 years, First Team fully supports RAYSAC’s efforts to curb drunk driving accidents and to keep our community safe. First Team is very proud to be a part of this great program. 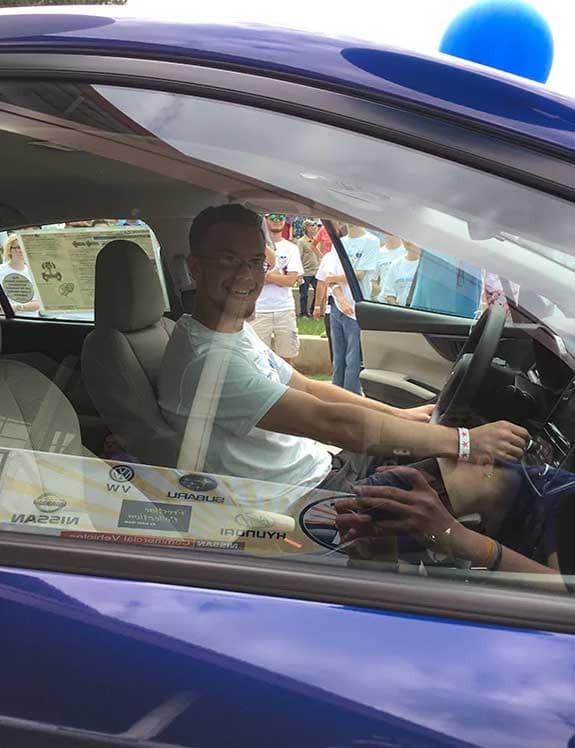 This year First Team donated a 2018 Subaru Impreza to the winner, Kendrick Higgins of Grayson County High School. The After-Prom Party creates a fun and safe atmosphere for students enrolled in Roanoke County high schools. Reports from all over the area show that this year’s parties were a big hit with students, who had a great time dancing and spending time with friends on this special night. It is extremely important for schools, parents and the community to support after-prom parties for their students as they are a proven way to keep teens safe on prom night. Working toward that goal, each year First Team helps RAYSAC to saturate community members, parents and teens with reasons why students should attend and stay until the end of their school’s after-prom party. The Roanoke Area Youth Substance Abuse Coalition (RAYSAC) sponsors the After Prom Party, along with the After Prom Grand Finale with give-aways as an extra incentive for students to attend their school’s After-Prom Party. In the past 29 years of After Prom Grand Finales, NONE of the participating schools have experienced the tragedy of a drunk-driving accident on the night of their prom. 0 comment(s) so far on Everyone at First Team wishes to congratulate Kendrick Higginsfrom Grayson County High School!